Strong Towns is coming to North Texas in October for our first ever Regional Gathering. It's going to be an amazing opportunity for anyone who cares about making North Texas communities more fiscally strong to connect, dig deep into the region's problems, challenges, and successes, and develop action plans that will help them keep the momentum going long after the gathering ends. If you live in the region or have a connection to the region, we hope you'll join us in Plano on October 3rd through 5th. Because North Texas badly needs advocates—at the grass roots level, in government, and in business—who will push the region toward better ways of doing things. And recent coverage of Texas governments' continued infatuation with corporate tax incentives illustrates this more clearly than ever. A recent CNBC report describes Dallas as a front-runner in the Amazon HQ2 beauty contest, amid speculation that the company will soon narrow the list of finalist locations for its second headquarters. 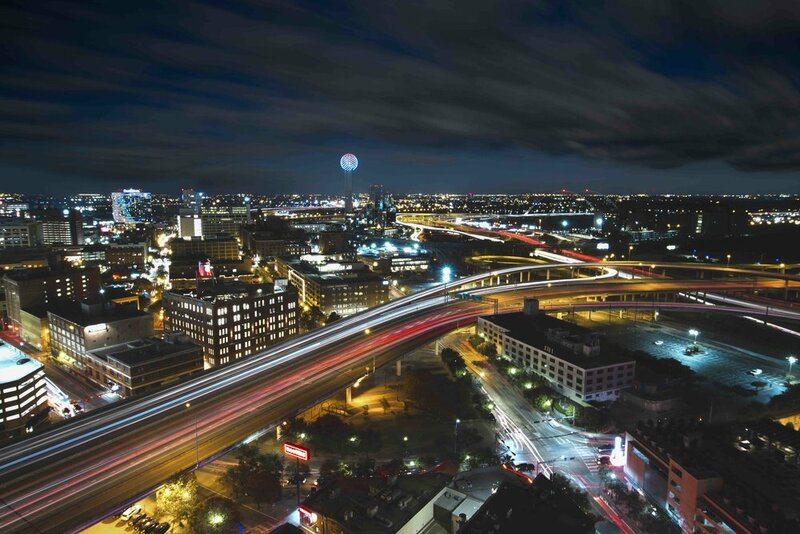 A list of questionable criteria (based on state-level data, meaning Dallas and Austin have the exact same set of scores) justifies the assertion that Dallas meets many of Amazon's standards: " great infrastructure, a strong and stable economy, a world class workforce," and excellent air travel options. But it leaves unexamined the assumption that Dallas, or any city, should want to be a front-runner. Dallasites, however, are ready for Bezos. In the same poll, only 6 percent of Dallasites said they didn’t want HQ2, while respondents generally said they thought highly of Amazon and believed the new headquarters would have a positive impact on the city. This is a city that has never shown many qualms about rapid growth or about big business. And that's fine. But would an Amazon headquarters really have positive impact on North Texas—and if so, at what price? And what do we really know about the package that cities in the Dallas-Fort Worth region (the bid is a combined bid, so the HQ2 location need not be within the city of Dallas proper) have already offered to lure Amazon? Not that much; like most of the Amazon proposals, Dallas' bid has been shrouded in intense secrecy. We do know a lot about the failed bid of Arlington, Texas, though, because they're the one Dallas-area city to go it alone. Arlington offered nearly $1 billion in incentives to court Amazon, from tax exemptions to grants to redevelop a potential site, and more. Rawlings's frame could use some realignment. When you're the mayor, your citizens are your customers. Not Jeff Bezos. But this isn't surprising. And it isn't just about Amazon. Texas has an unfortunate history of being pretty all-in for corporate handouts in general. This is the case despite that economists are pretty much in agreement that corporate tax incentives, as a rule, are a losing proposition for everyone but the corporations receiving them. Remember, with enough incentives you can get oranges to grow in Maine. But that doesn’t mean you should. Incentives are rarely the deciding factor when it comes to businesses' location decisions. They are but one factor among many—and they haven't been decisive in the past in major companies' decisions to locate in Texas. UT Austin professor Nathan Jensen says that incentive packages might make a difference in one-third to one-quarter of cases. Economic development officials themselves seem to understand this and treat incentives as simply a price of entry to be in the game at all. But that's a high price, especially when a goliath like Amazon can pit cities and regions against each other. And the use of incentives as an economic development tool may come with another cost: namely, there's emerging evidence that such a policy actually reduces local entrepreneurship by privileging the big fish. A new paper by Dean Stansel and Meg Tuszynski finds that incentives are negatively associated with small business establishments (fewer than 10 employees) as a percentage of total establishments. So when cities court the likes of Amazon, they hurt their mom-and-pop businesses—including, possibly, ones which could have grown into the next Amazon decades from now. You never know. Texas has a history of being one of the worst offenders when it comes to lavishing money on large corporations in exchange for operating in their state. A 2012 New York Times investigation of corporate tax incentives nationwide found Texas to be the single most generous state, foregoing at least $19.1 billion each year in uncollected taxes as a result of incentive deals. That amounts to 51 cents for each dollar of the state budget. The Times's interactive map is pretty stunning and worth a look. Among other things, it breaks down the cost of these incentives per capita: for Texas, the total is roughly $759 per person per year. How many of those companies would have actually left Texas if they hadn't been granted tax benefits? And even if some would have, how many of the lost jobs would simply have been replaced by home-grown Texas entrepreneurs? I think it's not a far stretch to suggest that Texas's economy would be better off if the state could simply cut each resident a check for that $759. It gets worse. Within the Dallas Fort-Worth area, individual cities compete with each other to attract business to one side or the other of a municipal boundary line. Dallas News did an in-depth series on this costly "economic arms race." But the investigation didn’t appear to include many local level incentives—like the ones Richardson offered Rockwell Collins in addition to the $839,000 enterprise fund award, nor the dozens awarded by economic development corporations. When Richardson and Plano (or Irving and Arlington, or Dallas and Fort Worth) are pitted against one another to compete for who can offer big businesses the most handouts, it creates a zero-sum game that does nothing to create real productivity for the North Texas region or its residents. Those residents deserve better than to have their elected officials scramble to see who can grovel the most. There are alternatives, and they all involve bottom-up economic growth. Economic gardening—making small bets in the hope that one of them turns out to be the next generation's Amazon, instead of obsessing over the chance of landing this generation's Amazon—is a promising approach that helps local governments nurture home-grown talent. It's not like Texans aren't known for their can-do spirit. As one of the largest and fastest-growing metros in the country, the region is already full of local innovators with pride of place doing cool things. Find them. Support them. Help them innovate. Heck, the Dallas area has a long history of innovation in retail specifically; it doesn't need Amazon to keep up that track record. It needs a thousand small bets, not one huge gamble. The other key to real, sustainable economic development is to make places that are worth developing, and investing in. Quint Studer of Pensacola, FL knows all about this: he's the author of a book on placemaking for vibrant, distinctive communities. Studer will be one of many presenters at the Strong Towns North Texas Gathering in October. Register for the Gathering now, and come join us as we discuss how to shape a more resilient way forward for North Texas.